It’s been proven that a plant-based diet is good for your weight, health, budget, and the environment, but the proof hasn’t come with a game plan—until now. If you’ve ever wanted to make the plant-based switch but felt overwhelmed about where to start, we have good news: you don’t have to do it alone. The Plant-Based Journey provides the support you need every step of the way to make your transition into eating plant-based a fun and (ful)filling experience! Whether you’re a plant-based newbie looking to shed pounds or a seasoned vegan in search of fresh inspiration and navigational skills, The Plant-Based Journey is your essential, definitive guide—for a healthier, trimmer you. Award-winning Lani Muelrath, MA, is a professor and instructional design expert specializing in plant-based living, fitness, and weight management. She is published in prominent magazines, blogs, and newsletters, and has recently been featured on ABC-TV, Prevention Magazine, USA Today, and The Saturday Evening Post. Lani starred in CBS TV’s fitness show, Lani’s All-Heart Aerobics. Lani serves as presenter and celebrity coach for the Physician’s Committee and the Complete Health Improvement Project. She is certified in Plant-Based Nutrition from Cornell University and maintains multiple teaching credentials in the State of California, as well as an Advanced Fitness Nutrition Specialist credential with the National Academy of Sports Medicine, along with multiple other certifications. Author of Fit Quickies: 5 Minute Targeted Body-Shaping Workouts, Lani counsels a variety of clients throughout the world from her northern California-based private practice emphasizing successful transition strategies to healthy plant-based living. The bulgur here creates a meaty texture that pleases everyone from plantophiles to sworn omnivores. I like to serve Game Changer Chili in large, wide bowls with golden chunks of Country Comfort Corn Bread (recipe in cookbook) perched on top. Be prepared for everyone to ask for seconds. Chop the onions and bell pepper in a food processor, or dice with a knife. Place the chopped onions and bell pepper, bulgur, tomatoes, dates, chili powder, paprika, oregano, garlic, chipotle powder, adobo seasoning, red pepper flakes, and water in a pressure cooker and cook under pressure for seven minutes. Alternatively, you can also cook on the stovetop for about 30 minutes, or until the bulgur is cooked through. Stir in the beans, spinach, and corn, and let sit for about five minutes. Salt to taste. Serve in bowls. Note: If you don’t have all of the seasonings, such as the chipotle and adobo, you can simply add more chili powder to taste. You can add them next time! Lani covers the plant-based journey thoroughly, creatively, and with the exceptional knowledge gained from her years of teaching. When you finish The Plant-Based Journey not only will you be inspired to eat plant-based, but you will have the wisdom how to cook the food you enjoy. This easy-to-follow guide will have everyone enjoying the health benefits from following a whole-foods/plant-based diet. You now have in your hands a trustworthy guide for how to take the journey, step to step, to a more fabulous you. You’ll feel better, you’ll look better, and you’ll enjoy life more. If you accept Lani Muelrath’s invitation, your body will thank you for the rest of your life. Highly recommended. Let Lani open your eyes with The Plant-Based Journey. She deserves your attention. 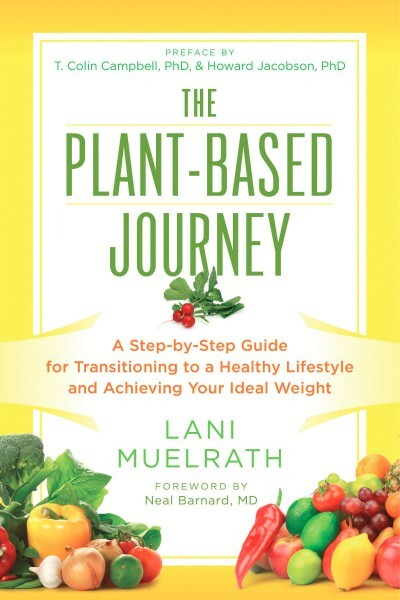 "Lani has created a great 'HOW TO' book for every stage of your plant-based journey. We're also thrilled to see her emphasize how our food choices affect not just our own health but the health of our living planet as well." The journey to evolution and compassion starts with what we eat every day. Read this book and step through the gateway to a new dimension, a whole new world of guilt-free eating and joyous living. Micro changes, restaurant tips, plantify your pantry....and so much more. We want the vitality, weight control, and energy that plant-based nutrition offers but don't always know how to implement the plan. Lani scores a bullseye in The Plant-Based Journey by making the process so clear cut and reachable. This is a must read manual for life. A fresh, clear, and imminently doable approach to a food-choice upgrade that you can start right now and be in love with by tomorrow. If you're even a bit curious about life on the veg side, Lani Muelrath is the perfect guide for your plant-based journey. Lani Muelrath’s manifesto on healthy living should be a must-read for anyone wanting to get healthy, reach their ideal weight, and stop dieting forever. 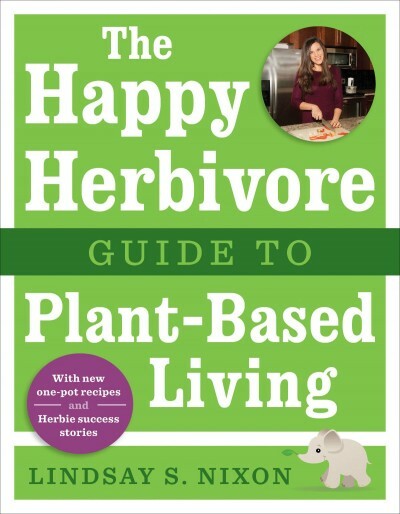 In her signature accessible style, Lani offers real-life advice for adopting a plant-based diet with ease—complete with stocking your kitchen, dining out tips and tricks, and cooking delicious food the entire family will love. I frequently meet people who want to ditch the meat and take charge of their health, and The Plant-Based Journey is the book I will tell them to read. The Plant-Based Journey is a flawless, comprehensive, easy-to-follow template for implementation and maintenance of the plant-based lifestyle. Whether for weight loss, concern for human or planetary health, ethics, or simple curiosity, Lani provides the perfect balance of information, validation, and motivational gems. Lani has created a great ‘HOW TO’ book for every stage of a plant based journey. I am also thrilled to say that there are also many references to the health of the planet through our food choices as well as human health. Lani makes leaning into your healthy transformation so do-able. She takes you by the hand, and guides you every step of the (wonderful) way with her clear-headed and science-based rationale! Take this journey with her. You will be profoundly changed for the better. 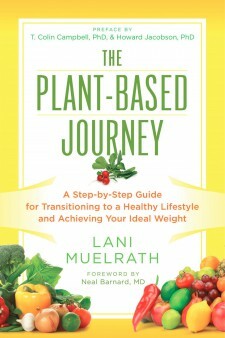 In The Plant-Based Journey, Lani Muelrath delivers sound, practical, and essential advice for improving our lives —and the lives of everyone around us. Please get this book and enjoy the adventure of enlivening and awakening your best self. Lani makes research-based information about plant-based living inspiring—not boring! She is a walking testament to health, and I am grateful to have access to her wisdom! The Plant-Based Journey is the most productive trip you can ever make. As a physician, I have found that there is nothing more vital to a person’s health than a whole food plant based diet. The problem has been showing my patients how to adopt a plant based diet—until now. With The Plant-Based Journey, Lani Muelrath—living proof that this is the fountain of youth—has taken years of experience showing people how to live a healthy life on a plant-based diet and created the definitive guide. Deeply informative, engaging—and a must read. 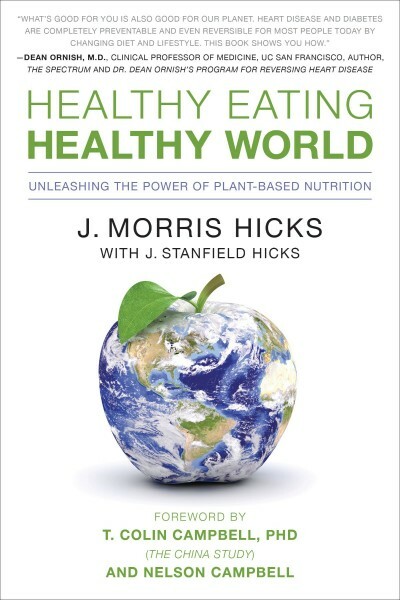 The Plant-Based Journey motivates readers to reach rock star status in nutrition . 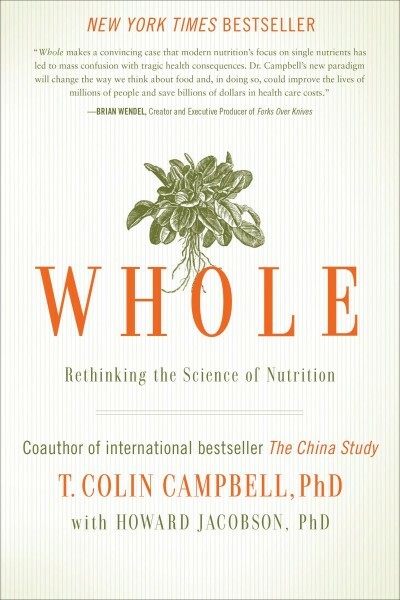 . . a compassionate and witty guide for those who may want to adopt a new way of eating for dietary or environmental reasons, but who don’t know where to start. Superb choice for aspiring vegetarians and vegans, or anyone just looking to reduce their consumption of expensive, high-cholesterol animal products.